There is nothing like freshly ground coffee to start up your day. Unlike instant coffee or pre-ground coffee, freshly ground coffee gives off an amazing aroma and flavor that is completely incomparable to other forms of coffee. Add in a decent coffee press to brew your freshly ground coffee, and you will no longer need to spend money on buying coffee outside every day. However, if you don't know anything about coffee grinders, you may have a hard time choosing one since there are a lot of choices available in today's market. 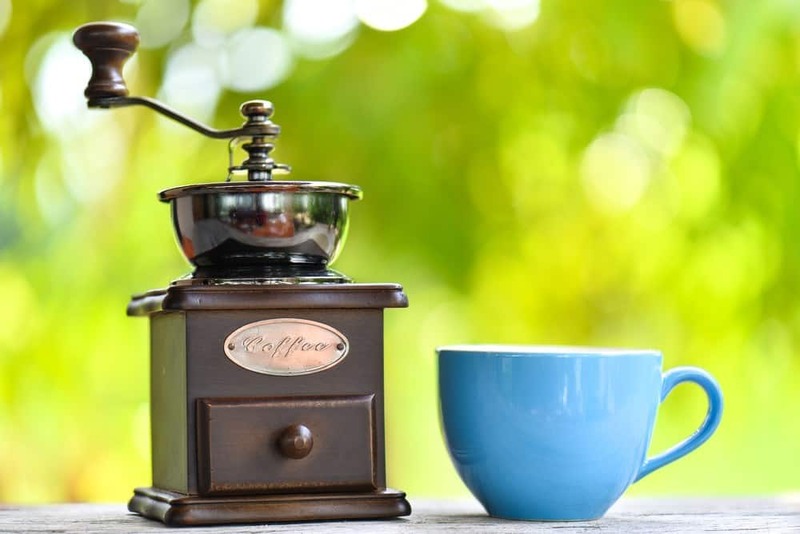 If you are planning on buying your first coffee grinder, you should definitely read on to know more about the different types of coffee grinders as well as the best coffee grinders for French press that you can buy in under 40 bucks. There are different types of coffee grinders available in the market today. From manual coffee bean grinders to pure electric ones, you will be able to grind coffee beans to your preferred coarseness. What's great about electric coffee grinders is that it can help you make finely ground coffee beans within a minute. However, these types usually come with a bit of noise, especially when paired with powerful motors. A burr grinder is another type of electrical coffee bean grinder that can make finely ground coffee beans within seconds. But unlike other electric coffee grinders that uses blades to dice coffee beans, a burr grinder uses serrated discs, that somewhat look like gears, to crush coffee beans instead of cutting them. If you're looking for a grinders for your coffee, have time to check out best latte machine. The Bellemain Burr coffee grinder is a great machine that can grind up to 7 ounces of coffee beans in just under a minute. If you feel like storing a rather large batch of coffee beans in your cupboard, you might as well go with this coffee grinder since it has a larger grounds cup as opposed to other coffee grinders you can find in the market today. This machine also comes with an automatic shut-off function that stops the machine altogether once your set coarseness has been reached. What's more is that this product comes with a 2-year warranty that you can use to replace its parts or the whole thing itself. This machine is very simple and easy to use and doesn't leave you with a messy counter since it comes with a stainless-steel cup that you can remove from the base for easy pouring. Another great thing about this coffee grinder is that unlike other electric grinders, this one doesn't give off a loud noise that can disturb people who are asleep in the morning. This electric grinder might be the perfect choice for you if you like making double batches off ground coffee in the morning. The ﻿﻿Quiseen﻿﻿ One-Touch Electric Coffee Grinder is designed to accommodate 2.5 ounces of coffee beans that can be used to create up to 7 cups of coffee. This product is great for beginners since all you will need to do is fill it with your coffee beans and push the ON button to start grinding. What's more is that this machine comes with a safety lock that prevents the lid from accidentally being opened while the blades are spinning inside. The KRUPS F203 is an electric coffee grinder with stainless-steel blades powered by a 200-watt motor. This coffee grinder can easily grind 3 ounces of coffee beans in mere seconds. If you like drinking a lot of coffee, or if you are planning on serving coffee to a lot of people, this product is the perfect one for you since it can grind coffee beans that can be used to make up to 12 cups of coffee. This coffee grinder also has a sleek design that would make it a great addition to your kitchen counter. It's also designed with a lid activated safety switch that prevents the blades from spinning unless the lid is completely closed. Another great thing about this item is that it also doubles as an herb and spice grinder. The JavaPresse manual coffee grinder is one machine that will surely make your morning grind routine a bit more immersive. This product has a slim and classic looking design that will make you keep it on top of your counter at all times. What's great about this manual coffee grinder is that it can produce ground coffee beans as good as electric ones minus the noise and the cords that add to clutter. And since this coffee grinder doesn't come with cords, you can easily take it pretty much everywhere you want to get fresh coffee. If you like going on outdoor trips and want to have a fresh cup of coffee in your hands after you wake up, going with this product can never go wrong. Of all the coffee bean grinders I have mentioned, I really recommend that you go with the Bellemain Burr Coffee Grinder since it can help you make large batches of ground coffee in just a couple of seconds. Because of its large capacity, you won't have to grind coffee every morning, therefore saving you time, electricity, and effort. It even comes with a very reliable 2-year warranty.